James Montana, Jr., 59, of S Claremont Road in Saukville, died March 10, 2007 at the Clement J. Zablocki VA Medical Center in Milwaukee, Wisconsin from complication of Lung Cancer and Leukemia. He was born January 24, 1948 in Milwaukee, Wisconsin to James and Eleanor Barth Montana. From 1968 to 1970 he served as a medic in the United States Army in Korea. He married Susan Janzer of Port Washington on January 11, 1969 at St. Mary’s Church in Port Washington. After returning to the United States he began work in the printing industry. 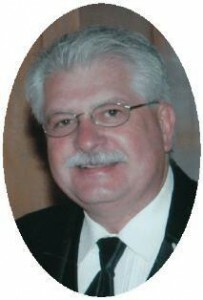 Jim was active with his wife Sue in the Ozaukee Corvette Club for over 25 years. He also enjoyed photography, travel, boating and his dogs. He will be missed and remembered as a devoted husband, dad and grandpa. He is survived by his wife Sue of Saukville, daughters Chris (Mark) Warrix of West Allis, Amy (Brian) Wilson of Jackson and Becky (Joe) Schueller of Cincinnati, Ohio. He was a proud grandpa of Tyler James and Allison Jane Schueller and Adam Charles Wilson. Further survived by his father James Montana, Sr. of Milwaukee, brothers Joseph (Jackie) Montana of St. Francis and Michael Montana of Milwaukee, sister Susan (Jim) DeLarue of Milwaukee, nieces, nephews, other relatives and many friends. He was preceded in death by his mother Eleanor. Funeral services will be Wednesday, March 14, 2007 at 7PM from the funeral home to St. Mary’s Church, Port Washington for Mass of Christian Burial at 7:30PM. The Reverend Allan Sommer will be the celebrant. Interment will take place in the parish cemetery with military honors by Ozaukee Memorial Post 5373 VFW. Visitation will be from 4-7PM Wednesday at the funeral home. Memorials to the American Cancer Society or Disabled American Veterans appreciated.